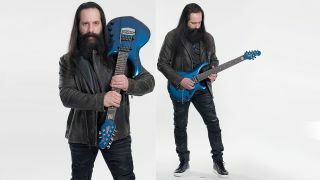 Around this time last year, John Petrucci, Joe Satriani and Phil Collen sat down with BackStory Events’ Brad Tolinski (Guitar World’s former editor-in-chief) to discuss the trio’s then-in-progress G3 tour. Tolinski asked the Dream Theater guitarist if there’s one song that’s particularly challenging to play in a live setting. Well, Petrucci dropped by Guitar World HQ to shoot a new video this past January, and — being more than a little intrigued about the challenges of “Damage Control” — we asked him to elaborate. Has he ever screwed it up?